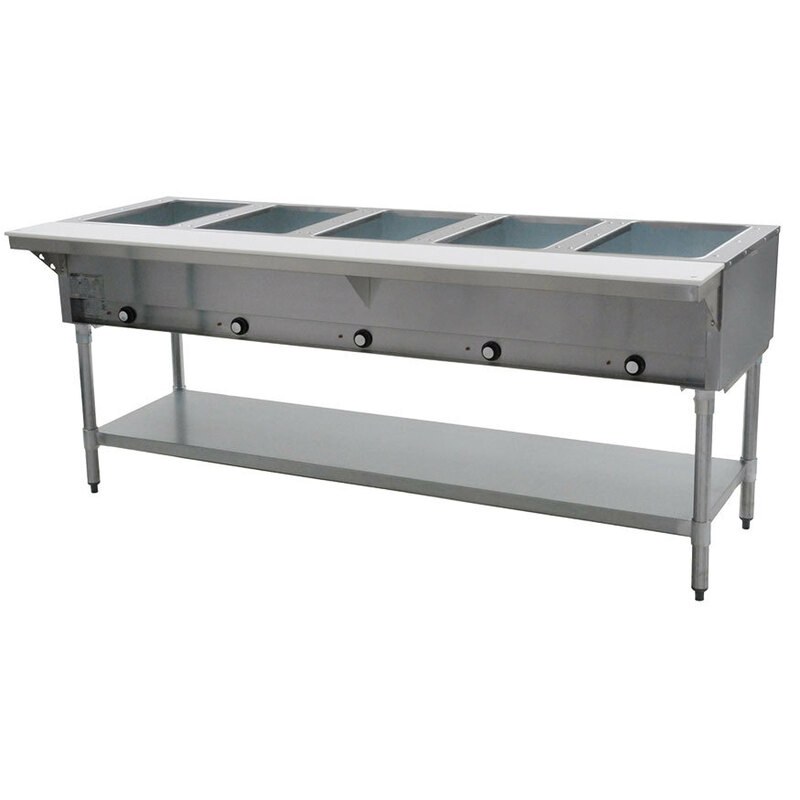 Keep food pans packed with your most popular dishes hot and ready to serve with the Eagle Group DHT5 open well five compartment electric hot food table! This table holds up to five full size food pans at a time, while its galvanized undershelf provides an excellent location for storing appliances and containers. 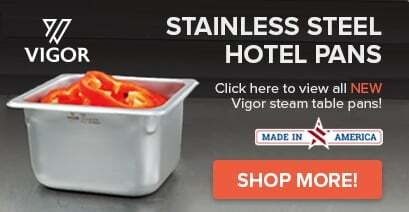 The body is made of polished 430 series stainless steel for long-lasting durability, and an 8" wide, 1/2" thick poly cutting board provides a great staging area for food preparation. The infinite control knobs make it easy to change among the eight temperature selections, and an indicator light stays bright continually when the controls are in the ON position. Its full insulation around the wells helps minimize heat loss during use, and the individual heating elements ensure the contents of the wells stay at safe holding temperatures throughout the day. And thanks to its galvanized legs and bullet feet, this food table will remain reliably sturdy at all times. 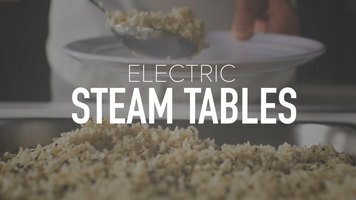 This steam table is so great. It was so inexpensive and well made. We use it every day the only thing is to watch it, this things gets so hot that it could cook the meat pretty easily if you don't get used to the settings.